This review of Dr. Dan Andriacco’s latest novel Holmes Sweet Holmes is long overdue. This is the second in what I hope is a long series of mysteries that pair Professor Sebastian McCabe (an English professor, Sherlockian, successful mystery writer and magician) with his best friend and brother-in-law Mr. Jeff Cody (college PR man, failed mystery writer and the leg man for the detective duo). 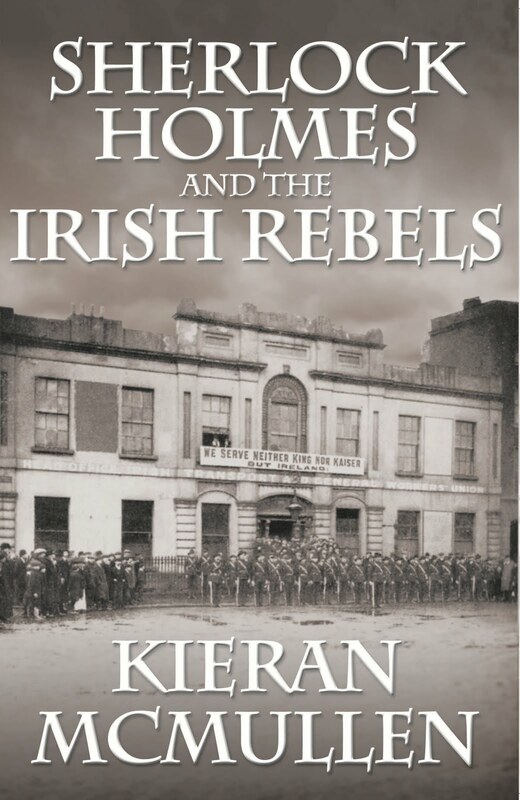 The first book was “No Police Like Holmes” which was also a wonderful read. The entire book is written in a unique style which lets one in on not only the actions but the thoughts of the central of the two characters, Cody. The writing is swift, well-paced and filled with whit. The central crime, of course, is murder most foul and involves the campus of the college on which both McCabe and Cody work (and try to keep their jobs). The question to be answered is: would someone commit murder just because they don’t like Peter Gerard’s modernization of Sherlock to a saxophonist on Bourbon Street in the 1920’s jazz age? Or maybe because he doesn’t want to make a sequel to the hugely successful movie? Or is there some other reason to bump off the old boy? In any case, it’s up to the Nero Wolfe – Archie Goodwin type team to solve the case and keep their jobs or maybe to keep out of jail. This is a great, lighthearted mystery and well worth the read. I admit I finally had to make myself put the book down and read it in two sessions or I’d never have made it to work in the morning. 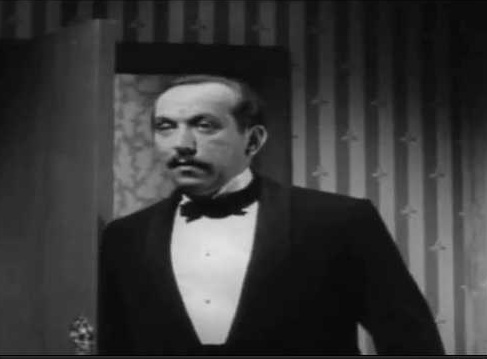 Vasily Livanov plays the part of Sherlock Holmes and is very convincing in the part. He is a wonderful Holmes. Solomin is one of the best Watsons ever. Not only does he look the part, he is the part! Intelligent, action oriented, and carries the majority of the story, just as it was written. Solomin was the definitive Watson in eight films for television during the period 1979 to 1986. Except for one thing (and I really mean that, one thing) this would be the perfect version of the Hound of the Baskervilles. What is that thing? Sir Henry Baskerville! 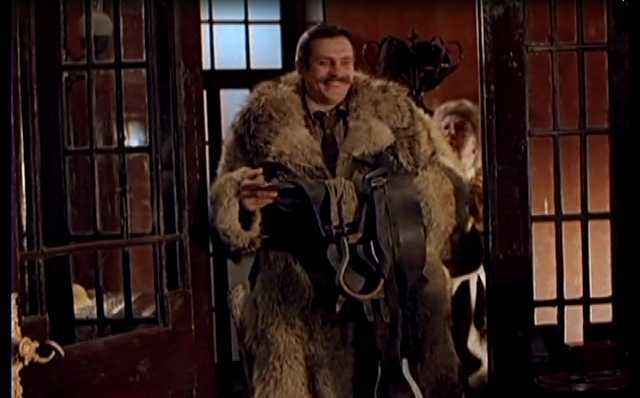 Sir Henry is played by Nikita Mikhalkov and it is atrocious! 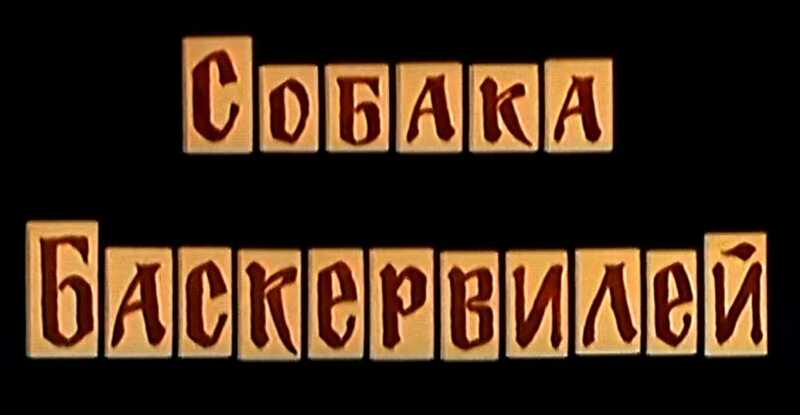 When Sir Henry first walked into 221B all I could think was, “what have the Canadians done to the Russians that they hate them so much?” Mikhalkov is one of the best known and most appreciated actors in Russian. He is an ardent nationalist and was once thought of as a possible candidate for high office. But here, he almost ruins the film. His portrayal of Sir Henry is such that the character is a total buffoon. 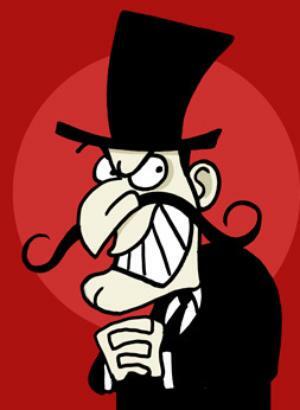 When I first watched it all I could think of was his likeness to Snidely Whiplash from the old Dudley Do-Right cartoons. Maybe that was his only impression of Canadians. Sir Henry is a totally unsympathetic character. With all the above said, this is a must watch film for all Holmes and especially Watson fans. You will thoroughly enjoy Solomin’s performance as Watson. Vitali Mefodievich Solomin was born 12 December 1941 in Chita, Siberia. Both of his parents were professional musicians and taught music. His father was a violinist and cellist and his mother a mezzo-soprano. In 1959 Vitali graduated from high school and went to Moscow to study theater where his brother was already studying. From 1959 until 1964 Vitali studied at the Shchepkin Theatrical School of the Maly Theater. Vitali acted on the stage, on TV and in the movies. 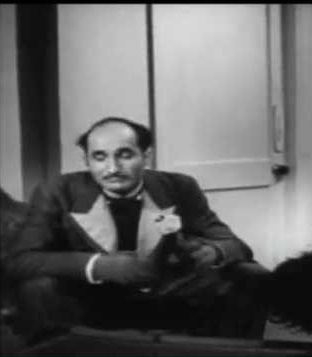 Not only was Solomin an actor but he was also a writer and director with over 45 films to his credit. While he was considered an exceptional actor, he was best known for his portrayal of Dr. Watson alongside Livinov’s Holmes. In 1992 he was awarded the title “People’s Artist of Russia”. Solomin was married twice and had one child by his second wife Marina Leoidova. Solomin died 27 May 2002 in Moscow of a stroke. In view of all the hoopla that the PR types are trying to raise over the selection of Lucy Liu as the next Dr. Watson I thought it time that I reviewed a third female who has played the role of the world’s best known sidekick. Earlier, I have reviewed both Debrah Farentino and Margaret Collin each of whom played a Watson. (My father the English Lit professor always subscribed to the belief that there were only 36 plots in all of literature and everything else was a variation on the theme.) These two ladies both did very good jobs as Watsons in very similar made for TV movies that were obviously pilots for a possible weekly series. You can find those reviews by scanning down through this blog. 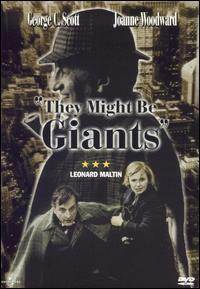 This review is about Joanne Woodward as Dr. Mildred Watson in the movie They Might Be Giants. The film is an adaptation of the stage play of the same name which was produced in London but never on Broadway. The author, James Goldman, it is said was never completely happy with the play. 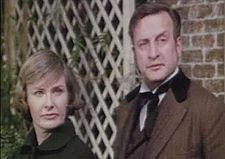 The movie was released in 1971 to somewhat mixed reviews even though it had two huge stars of the screen in the lead roles: George C. Scott as Sherlock Holmes (or Justin Playfair a retired judge who thinks he’s Holmes) and Joanne Woodward as Mildred Watson a psychiatrist in charge of Playfair’s case. Watson is at first curious about Playfair’s case and then gets drawn into her patients quest for his arch enemy Moriarty. Playfair plays the part of Holmes with Deerstalker, pipe and inverness. 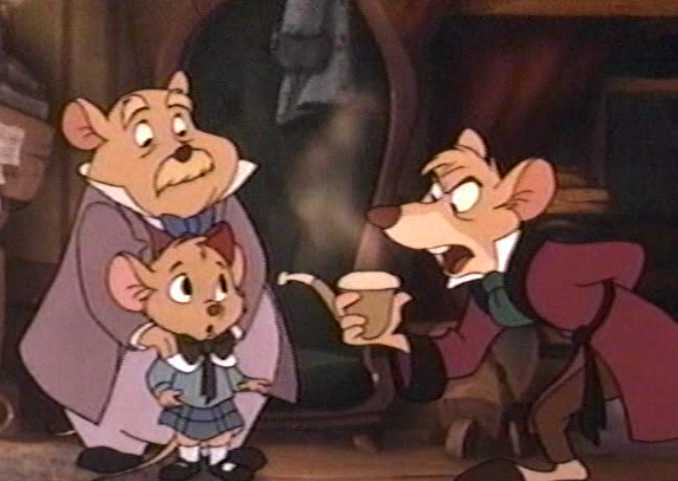 The best line in the movie is where Playfair is defending his quest for Moriarty and states; “If there is no Moriarty then I am not Holmes!” Okay, you have to see the movie to appreciate the line. 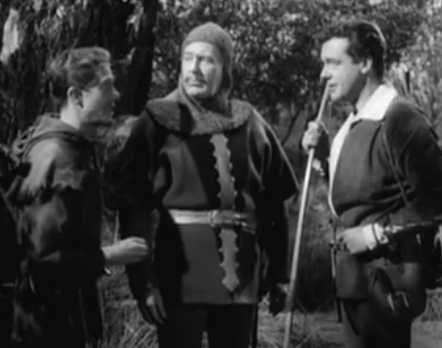 The movie has been compared quite often to a variation of Don Quixote rather than Sherlock Holmes with Scott tilting at windmills and Woodward as Sancho trying to keep her ward out of trouble. The comparison comes from lines in the movie itself where “Holmes” defends Don Quixote and the title which refers to Don Quixote’s belief that windmills were “monstrous giants”. 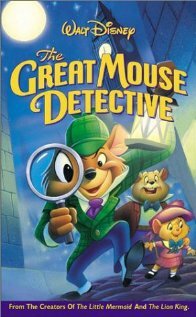 The movie is very well done and I won’t tell you if they find Moriarty. Woodward gives a superb performance (even better than Scott). She is a convincing Watson. Unfortunately, for me, there also starts to be a romantic twist. Not a severe one but it’s there none the less and that’s where it slides into “chick flick”. I suspect the mixed reviews were for that very reason. Female viewers like this movie better than guys. (Am I in enough trouble yet?) This movie is hard to come by and very expensive when you can find it on Amazon or eBay. Fortunately I bought a copy years ago. The film is well worth watching and Woodward is an excellent modern day Watson. Joanne Gignilliat Trimmier Woodward was born in Thomasville, Georgia on 27 February 1930. Her acting career started in high School and local theater productions in South Carolina. She majored in drama at Louisiana State University before going to New York City and the big stage. By 1952 Woodward was a regular on TV with roles on shows like Goodyear Playhouse, You are There and Lux Video Theatre. Her first movie was Count Three and Play in 1955, only two years later she won the Best Actress Oscar for The Three Faces of Eve. In 1958 she married Paul Newman, a marriage that lasted 50 years. The couple had three daughters; Elinor (Nell), Melissa (Lissy) and Claire (Clea). There are also two grandchildren. Woodward has had an amazing career with over 70 film credits. Besides the best actress Oscar win she has been nominated on three other occasions. She has won two Emmy Awards and been nominated five more times. 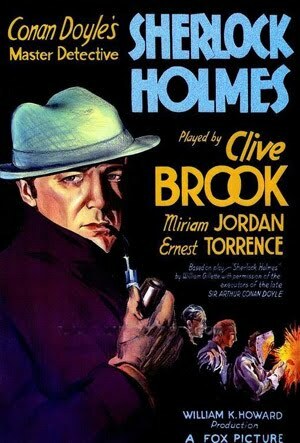 Sherlock Holmes: The Man Who Disappeared was a made for TV short (about 26 minutes) which was a pilot for a weekly show. It, like others, was a one-time event. The story is a variation on The Man with the Twisted Lip. For some reason that particular story seems to hold a fascination for film makers, I don’t know why, for there are better stories to choose from. At any rate, the production quality of the show is very typical of that time in early television. 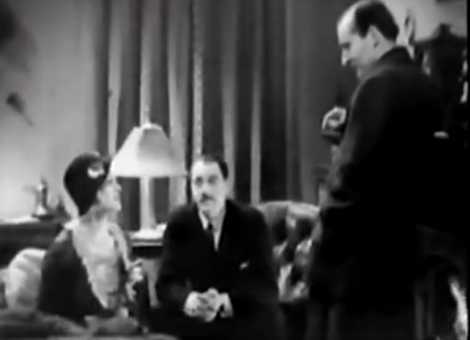 When you watch the film (available at http://www.youtube.com/watch?v=CIlAQWPv4is) you will understand that this is indeed a 1951 television production. Hint: if you watch the action you won’t notice the trucks passing in the background over the bridge in 1895. As the story unfolds Mrs. St. Clair comes to Watson to have Holmes find her husband. Of course he is found in an opium den near Tower Bridge and while Holmes makes for the upper floors, where he has seen Neville St. Clair, he leaves poor Watson to fight off a half dozen men. Watson loses but acquits himself well in this and a second fight at the end of the story. The biggest change in the tale is that St. Clair disguises himself as a beggar not to make money by donations but to sell dope for the underworld boss Luzatto in who’s grip he finds himself. St. Clair believes himself guilty of a murder that Luzatto has actually committed. 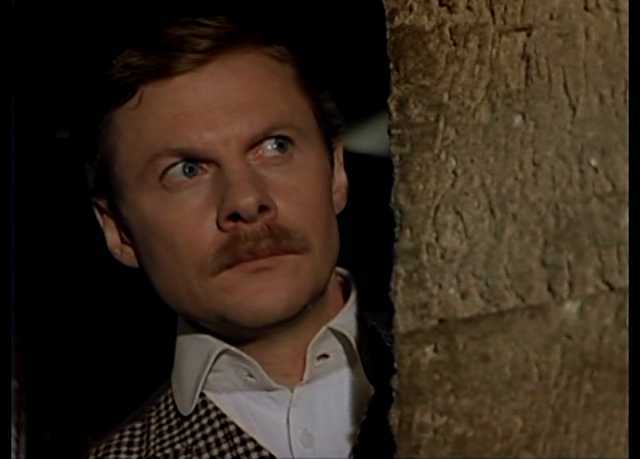 Luzatto is the classic Moriarty character and really is well done by an actor named Walter Gotell. Holmes is played by John Longdon who does an adequate job as Holmes but is a little too stiff with the part. Our hero, Watson, is played by Campbell Singer, a long time character actor who does a workmanlike job and might have been a very good Watson had the show been picked up for a series. At least he could hold his own in a fight! The show is not bad if you keep in mind the time frame it was done in and the fact that it was a low budget pilot to sell a concept. As I understand it, the film never made it to TV but was used as a “short” filler in the movie houses. Campbell Singer was born Jacob Kobel Singer on 16 March 1909 in London, England and died in the same city in March of 1976. Singer was both a character actor and a playwright. Two of his plays: Guilty Party and Difference of Opinion both received critical acclaim. He also wrote for television both in the UK and Germany. However, he is best known as a character actor in movies and TV with 107 credits. His first appearance in film was in 1947 as a police sergeant in the movie Take My Life. This seemed to become a recurring role for Singer as he was often cast as the local police officer, playing Inspectors, Constables and Detectives. From 1955 onward most of his work was in television where he appeared in such shows as The Avengers, The Saint, Doctor Who, and Dad’s Army. His final TV appearance was in 1975 on the TV series Some Mothers Do ‘Ave “Em. It would have been interesting to see what Singer could have done with the role of Watson had the pilot been picked up. 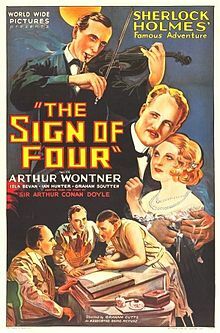 The Sign 0f Four (1932), with Arthur Wontner as Holmes and Ian Hunter as Watson is an interesting tweak on the original story. Ian Fleming had been Wontner’s usual Watson. The story was “updated”, that is, it was moved from 1887 to 1932. The story does not suffer for the change as, to a modern audience, the 1932 taxi cabs sure look pretty ancient. The river chase is with speedboats instead of steam launches but this too does not really detract. The other changes to the story include: a tattooed fellow escapee to work with Small (along with Tonga), Miss Morstan owns a flower shop and Major Sholto murders Captain Morstan upon their finding of the treasure. Of course, Small escapes from the Andaman Islands penal colony and comes looking for Sholto. FYI the Andaman Islands are a territory of India, and though in the Bay of Bengal, lies not far off the coast Burma. (A long way from India.) The rest of the plot is pretty well out of the Doyle story and Arthur Wontner does his usual good job as Sherlock Holmes. There is one final plot twist but I won’t give it away as that would be too much of a spoiler. Oh, the one disappointment was no Toby or Irregulars. Ian Hunter makes a very good Doctor Watson and it is really too bad that he did not go on to reprise the role. This was his only outing as our favorite physician even though he had almost 100 movie credits. Hunter is witty, has a good sense of pace and timing, and is not intimidated by Holmes. Of course he messes up as Watson is bound to do, but he does not play the buffoon or the over-smitten lover. All in all Hunter does a sound job with my favorite character. The movie is available free online at www.imdb.com/video/hulu/vi504970009 on the internet or you can add it to your collection for about $1.50 plus postage from Amazon.com. Ian Hunter was born in Cape Town, South Africa on 13 June 1900. Here is where he spent his youth and in his teens he moved with his family to England where he started becoming involved in acting. With the Great War on, as soon as he turned 17, in 1917, he enlisted and was off to the front for the last year of the war. By 1919Hunter was back in the theater and 1924 say his first foray into the movies with the silent film “Not For Sale”. Hunter spent the rest of his career switching between movies, stage and TV both in the US and in the UK. Among his best known roles were as King Richard in the 1938 Errol Flynn classic “Robin Hood” and as Shirley Temple’s father in “The Little Princess”. I remember him not only from the big screen Robin Hood, but as Sir Richard of Lea in the 1955-58 Robin Hood series with Richard Green. Hunter was married to his wife Catherine and they had two sons. He died 23 September 1975 in London England. Mr. Athole Stewart continues the list of single appearance Dr. Watsons. His single outing, however, is really quite notable. The movie was “The Speckled Band”. The year was 1931 and the talking pictures were still in their infancy, especially in England. 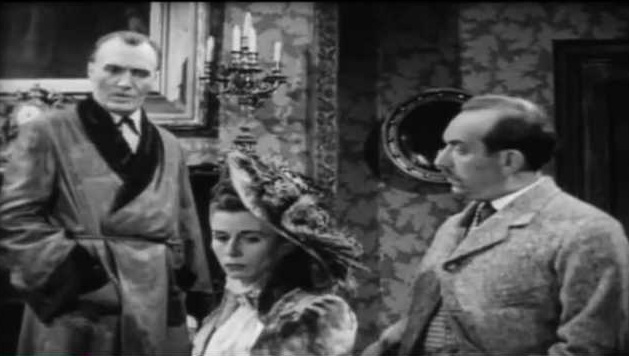 One can see the characteristic silent era over-dramatization in the physical acting, that is, except for Stewart and Raymond Massey who played Sherlock Holmes. Lyn Harding played Dr. Rylot. Harding, of course, would play Professor Moriarty in two future films: Silver Blaze and Murder at the Baskervilles. This version of “The Speckled Band” was taken from the play as opposed to the story and added some modern touches such as a swift sports car. They also give Holmes an office complete with secretary, wire recorder and a punch card sorter. It is really interesting. Stewart neither over nor underplays his part. He is Watson as he should be. The movie is available for viewing on-line at Archive.org/details/SpeckledBand in its Canadian release format of 49 minutes. Originally the film had been released in the UK at 90 minutes and in the US at 66 minutes. Anyone who is remotely familiar with the story can figure out the parts that have been left out. Athole Stewart was born in London, UK on 25 June 1879.His work as an actor was limited to the stage (where he was well thought of) and does not appear in film until 1929 with the advent of the talking picture. His delivery is precise and his articulation made him invaluable for the early talkies with less than perfect sound quality. From 1929 to 1940 he appeared in 40 films and like many other “Watsons” he seems to have been continually cast as senior officers and English lords. Mr. Stewart died on 22 October 1940 in Bedfordshire, UK. 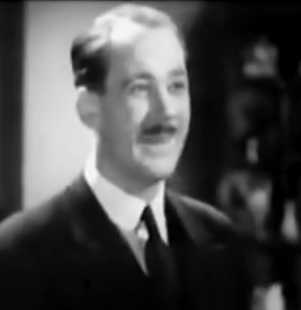 Frederick Lloyd is another of the many single performance Doctor Watsons. 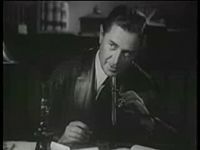 His single outing as Watson was opposite Robert Rendel as Holmes in the 1932 Gainsborough Pictures production of “The Hound of the Baskervilles”. I have to say that I have never seen this film as only one complete copy is known to exist. It seems that the film, less the soundtrack, was in existence but no one knew where the soundtrack was. The soundtrack was later discovered and remarried to the print. The sole copy was presented by the Sherlock Holmes Society of London and is not available (to my knowledge) anywhere. The film did not get rave reviews which probably accounts for its disappearance from the commercial market. I would love to have a copy just to add to my collection of other “Hound” movies. The reviews of Frederick Lloyd as Watson were actually good. 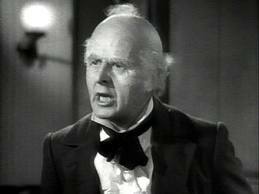 Lloyd was another theater actor who made the transition from stage to silent movies and on to the talkies. 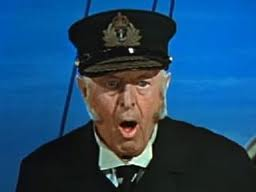 He was born in London 15 January 1880 and by 1907 was an accomplished stage performer appearing in “Captain Brassbound’s Conversion”. In 1911 he made the move to silent film, making him among the earliest actors in the new commercial movie industry. He continued his mix of stage and film acting into the 1930’s but appears to have gone almost completely to movies after that time. 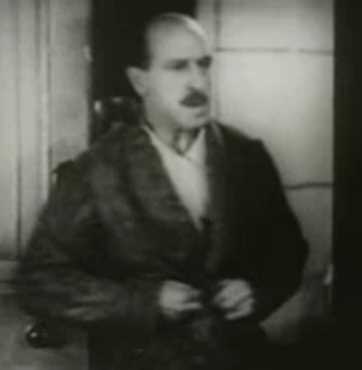 Frederick Lloyd appeared in 29 films including the” Hound of the Baskervilles” and his last film “Oliver Twist”, which was made just a year before his death in 1949. Most of the roles he played in the movies tended to be army officers or English gentlemen. I have as yet been unable to obtain a still photograph of Frederick Lloyd so if anyone has a copy please let me know so I can add it to the collection. Proper credit will be given. Frederick Lloyd died 24 November 1949 in Hove, England. From 1911 to 1922 he was married to actress Auriol Lee. The list of Watsons that have filled the silver screen, the television tube and trod the boards now seems endless. We have covered two score and two at this point. Some bad but the vast majority pretty darn good in the part. My friend Dr. Dan Andriacco asked me a few months back what I would do when I ran out of Watsons. I sit here at the kitchen table looking at the names of another dozen to cover. And while I search for a photograph of the next Watson (Frederick Lloyd) I have to consider that there will be another Watson to come in New York. It appears there will be no end to it. It is really an astounding thing that 130 years after the Good Doctor met the Great detective that we the audience are still so fascinated by the concept of a rational, thinking man. 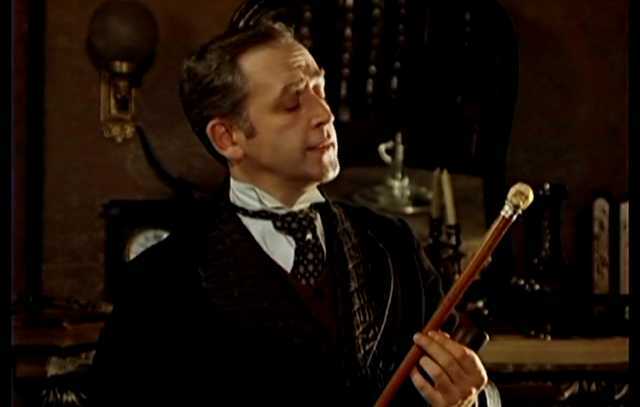 Maybe it is the fact that we look about us in our daily lives and see so much that does not make sense that we crave to know there is such a thing as reason and order in the world, and if we could just be like Holmes (or at least Watson) we could put all aright. I hope Watson fans have found these little essays useful.